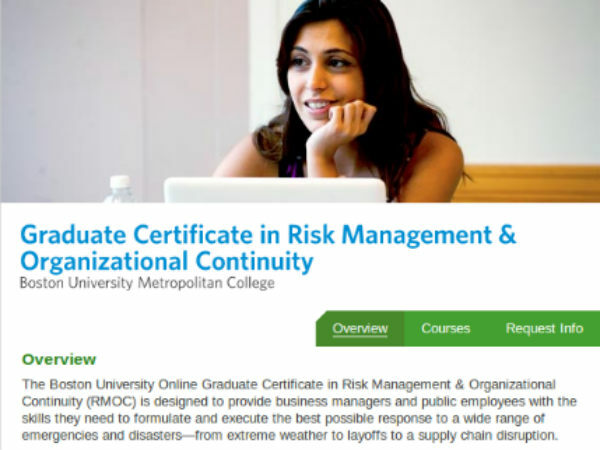 The Boston University Online Graduate Certificate in Risk Management & Organizational Continuity (RMOC) is designed to provide business managers and public employees with the skills they need to formulate and execute the best possible response to a wide range of emergencies and disasters from extreme weather to layoffs to a supply chain disruption. Students who complete the online certificate will gain expertise in the proactive aspects of planning and strategy as well as the reactive aspects of crisis management and enterprise and organisational continuity. 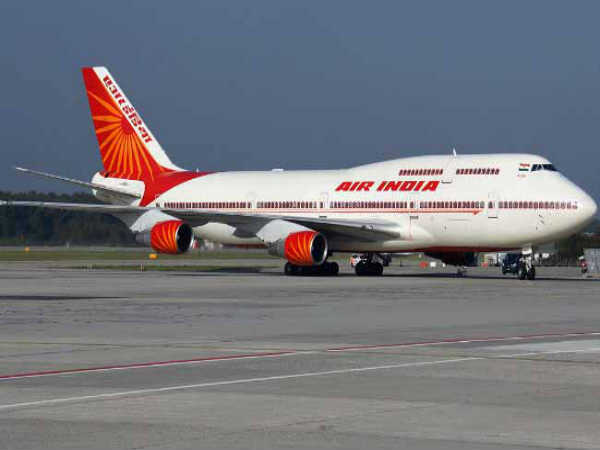 In addition to the technical and logistical issues facing emergency management professionals, the program focuses on understanding the psychological and social components the human resources of an organisation. Proficiency in designing and evaluating exposures and available response options, as well as developing appropriate plans for enterprise risk management, business continuity planning, and disaster recovery frameworks and processes. Skills in the use of quantitative and qualitative data use to estimate company risk exposure. A broad understanding of the different aspects of business continuity as it impacts the continued operations of the firm, from supply-chain through higher-level strategy development involving industry sustainability. The interface between private and public response. The human, technological, and logistical factors of crisis recovery. The development of a system-wide continuity plan. Each online course features a case-study simulation that requires students to apply the concepts from their coursework under emergency-like conditions. Academic credits that may be applied toward the Online Master of Science in Business Continuity, Security, & Risk Management. Knowledge that prepares individuals for course-ware offered by DRI International leading to possible certification in business continuity management. Access to expert faculty from government, business, and Boston University. A valuable professional credential in just nine months of study. In order to apply click here.